Headaches, upper respiratory irritation, fatigue, nausea, and membrane irritation are among the most common symptoms of Sick Building Syndrome, (SBS). Sick building syndrome is a term used to describe health symptoms that seem to be linked to building occupancy without any other diseases being detected. 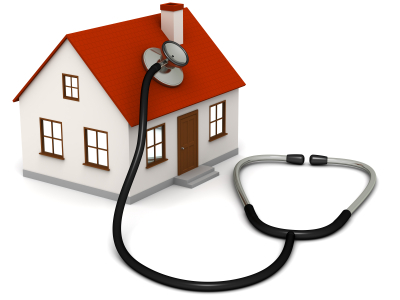 The causes of sick building syndrome are not easily recognizable. Complaints and symptoms are usually relieved after exiting the building. A diagnosis is made based upon the exclusion of other diseases and is determined through sampling and testing of indoor chemical and/or biological contaminants. Indoor air pollutants can be caused by many sources within a building. They include: combustion sources, fire damage, building materials, furnishings, cleaning products, personal care products, water damage poor air duct systems and bio-aerosols such as bacteria and mold. • Find and identify all indoor air pollutants through extensive testing, including air duct systems. • Identify indoor environmental conditions and contamination that are conducive to symptoms and sick feelings experienced by occupants. • Recommend and execute solutions for remediation that eliminate Sick Building Syndrome.